With Steven Gerrard and Frank Lampard moving to MLS clubs, there is a growing interest in England on how football is developing in America. 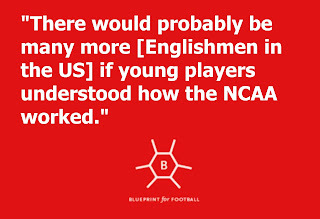 To find the real English influence in the American game, however, one has to look deeper than that. Down in the grassroots there is a multitude of British coaches who are working away developing the future generations of American players. Dean Atkins is one such coach. But, more than that, he (and those like him) should be an example to the large number of promising British players that each year are devastated after being released by their academy. At sixteen, Atkins was told by Wycombe that he wasn’t going to be given a professional contract and this eventually led to him moving to America to play in the NCAA, a move that allowed him to get a top quality education as well as kick start his coaching career. 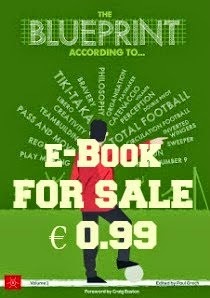 Blueprint for Football: Was coaching football always the target once it became clear you wouldn't make it as a player? Why? Dean Atkins: I began coaching when I was sixteen years old with Wycombe Wanderers Football in the Community in England after being released from their Centre of Excellence. I continued to do so on and off for approximately eight years whenever I had time in and around my studies. It wasn’t always the target. I studied to get my Bachelor’s and Master’s degree in the US and entered the workforce, before electing to dedicate my career to soccer. I’m a firm believer in “choosing a job you love and you’ll never work a day in your life” – and that’s exactly how I feel about it. BfF: What qualities did you feel made you a right fit for the job? DA: As a youth coach there are a lot of qualities that I feel cater towards working with younger players. 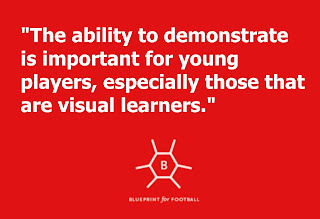 I feel the ability to demonstrate is important for young players, especially those that are visual learners. I don’t think it’s the be all and end all of coaching, but I definitely think it helps. Organization is a quality that I also feel is necessary to coach young players. The initial setup, the ease with which you can progress and regress sessions without changing too much in terms of layout, as well as the flow of a session are all vital. Any time in between or breakdown in organization and you can lose a player for the entire session. So, in a nutshell, organization and the ability to demonstrate. BfF: And what is the most important skill for a coach to have? DA: The ability to connect with the players they’re working with. 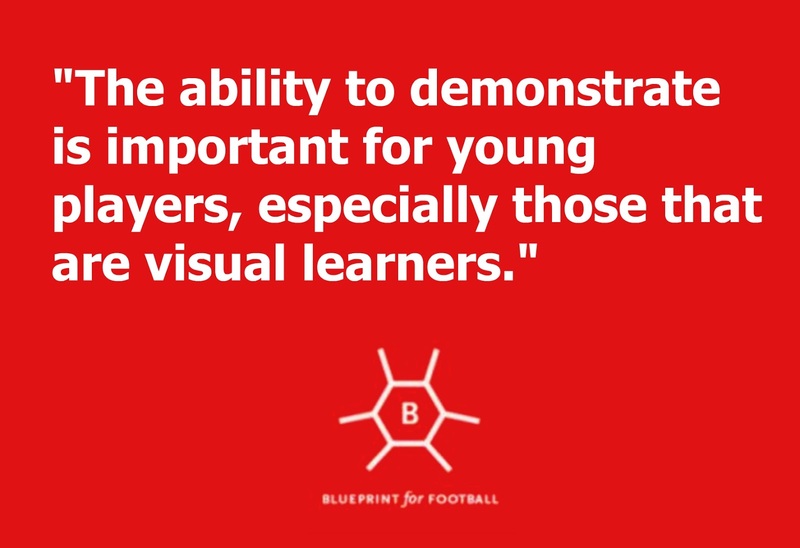 Whether it’s a five year old doing a mini kick session or a teen who’s coming to practice after a day at school, being able to connect with the player in the session is the base from which everything else can be built. back at Wycombe Wanderers Football In The Community (he’s the head of Reading Football In The Community now). He gave me my start when I was sixteen and had high standards for timeliness and professionalism which I feel have stuck with me. I’m also very fortunate to be in a position where I have access to ongoing coach education with the New York Red Bulls Training Programs. 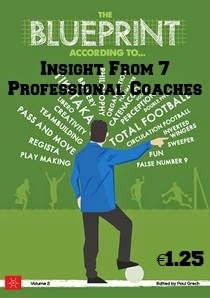 Not only are there great coaches to learn from who might be considered mentors and educators but also being in and amongst other talented coaches has helped to solidify ideas or challenge my thinking on coaching and sessions. BfF: You write a lot about the game - something to which we'll return later - which indicates that you think a lot about it. 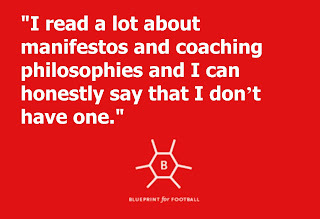 What, then, is your coaching philosophy? DA: I read a lot about manifestos and coaching philosophies and I can honestly say that I don’t have one. Maybe it’s a question of sitting down to write one out or someone teasing the answers from me or perhaps I should have given it more thought before talking to you about it, but I don’t have one. Being adaptable would be somewhere high up in any philosophy I had. I think there are very few things that are black and white and the ability to adapt and change to the needs of your players is right up there. BfF: As a player you opted to come and play for a University in America. Was it a difficult decision to make? sights locked on it for a while. I was able to continue my higher education after my A levels and also keep doing the thing I loved most: playing the game. While you could argue I could’ve done that back home, the scholarship element and the challenge of living in another country outside of my comfort zone was just what I needed. BfF: Would you have remained at Wycombe - even if the education you would have received would have been much less - if that had been possible? DA: I was offered a few positions with Wycombe Wanderers Football In The Community from when I first started at sixteen but always had my eyes set on higher education. At that time I still had the ambition of playing at the highest level I could, but didn’t want to gamble and go all in. I wanted to have a solid education to fall back on in case it didn’t work out. BfF: Looking back, what has the education that you received given you? DA: The education I received was very good and I had the benefit of moving halfway around the world to get it, meaning that I took more life lessons away from it than most. Most importantly, I think it allowed me the time to experiment and figure out what I wanted to do with my life. I stayed on for my Master’s degree, interned for a Global Media Company in England, Germany and Japan and took a job as an Accountant after graduating. It all led me back to coaching which I could have taken on when I was sixteen – but I have so much more to draw upon and infer from my other experiences that make me that little bit different from other coaches. BfF: Are you surprised that there aren't more English youths who make a similar journey, especially when scholarships are offered? What would your advice to them be? 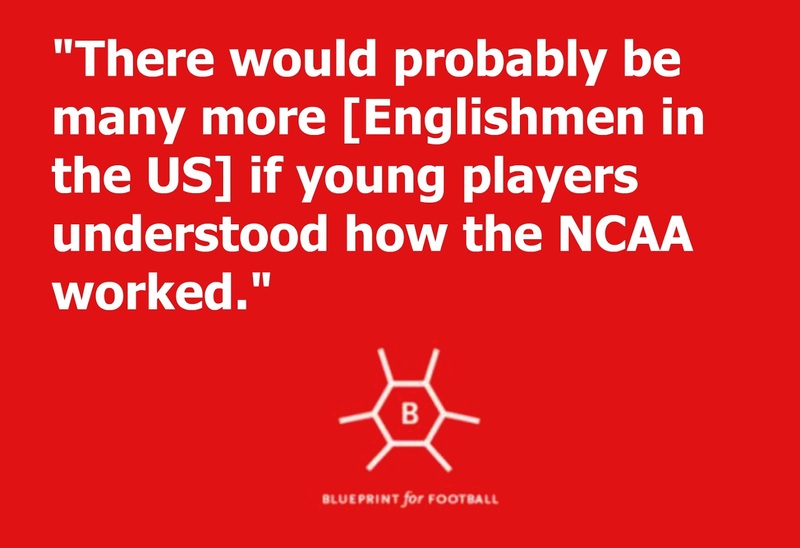 there would probably be many more if the young players understood how the NCAA worked. University and College programs in the US are highly competitive and always looking for the best players. Typically, the best young players available in England are academy dropouts. Therefore, they would be the prime targets for scholarships. The problem is, most players deemed surplus to requirements from academies, then get paid to play by lower league clubs. In the eyes of the NCAA getting paid to play means you’re pro and therefore, you can no longer be an “amateur” and play in the US College system. My advice would be to forgo getting paid if you have a desire to play in the US college system. BfF: You are currently the coach for the Regional Development Schools of the New York Red Bulls. What is your job exactly? DA: The Regional Development Schools of the New York Red Bulls is our gateway to the Academy. It’s a tryout based program that is supplemental to a player’s current training and helps us identify the top players in the area for showcase teams and eventually the Academy. The curricula are based on the individual players and are focused on elite level players and the technical aspects of their game. I coach these players and prepare them for the Academy. Knowing that not all of them can make it, my secondary goal is to give them the mindset of proving the Academy wrong. If they don’t make our program, if they’re not selected for the showcase teams or the Academy, it’s then up to them to prove us wrong and put in the work to show us what we’re missing. BfF: How do you look for talent? What kind of players do you look for? DA: Because we’re a supplemental program, there are no teams or age specifications. As a result, we get to form developmentally appropriate groups based on technical ability rather than necessarily size or age. 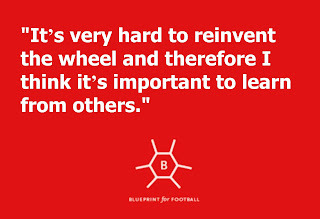 I think this is where the adaptability comes in: there isn’t a kind of player we’re looking for. Big or small, fast or slow, players are assessed on a number of factors; their technical ability, understanding of the game, ability to follow instruction, interaction with coaches and players, and much more. BfF: America does not really have that tradition of clubs building from within. Is this changing and what is the hardest obstacle you are finding to changing the mentality? DA: The biggest obstacles are probably executive decisions that I couldn’t influence. I think other teams around the world pump money and resources into their academies for two reasons; to produce players for the first team or to sell those players for a profit. I’m not sure that’s exactly the same end product in the MLS and, therefore, producing players for the first team would be the only incentive if you can’t sell players to make a profit. Again, I’m fortunate that the New York Red Bulls has a clearly defined pathway for players from our Training Programs to RDS to Academy to Red Bull II and the NYRB First Team. I would imagine that other teams will follow suit and we’ll see MLS Academies expand to more teams and more residential programs in the near future. 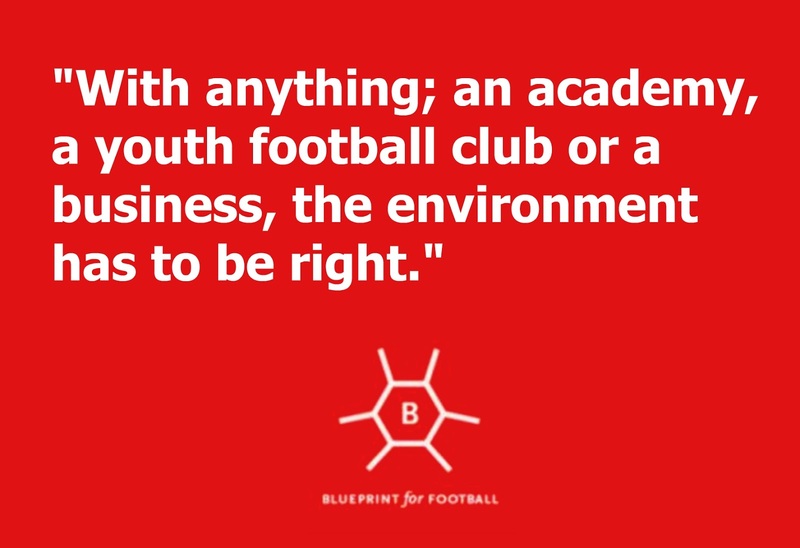 BfF: What do you feel are the essential elements for an academy - or even a youth football club - to succeed? DA: I don’t feel I’m in a position to truly comment on what’s essential for an academy to succeed as I don’t currently coach within one. However, that is a long term goal for me as a coach and something I’m fascinated by. 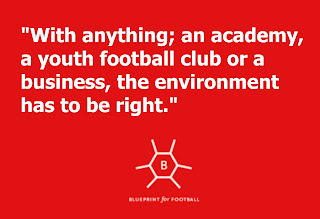 I think with anything; an academy, a youth football club or a business, the environment has to be right. From the coaching staff and players to the facilities and standards set, everything needs to be geared towards providing the perfect environment for players to learn, play, make mistakes, fail and ultimately have a pathway where if they’re good enough, there are opportunities to progress and prosper. BfF: Before I mentioned your writing. What makes you decide to write an article? What provides the spark? Why do you make so much material available to others? What do you get from it? DA: I have a little notebook that I’m often jotting things down in but every now and then, typically when I’m able to switch off from everyday distractions, an idea of an article starts to form. I’m currently writing articles related to coaching as a method of providing clarity for myself. This is helping me to identify what I believe in and what I think is important with regards to youth coaching. I suppose it’s quite selfish really. I’m writing about coaching so that I can get better at coaching. I don’t claim to be an expert in my field but I don’t think you need to be. If others find use in what you’re writing or it gives them a spark or idea or guideline then all the better! As with anything to do with teaching or coaching; steal what you like and leave what you don’t. BfF: Is the collaboration aspect important for you and why? DA: Collaboration is key to a coach’s success. 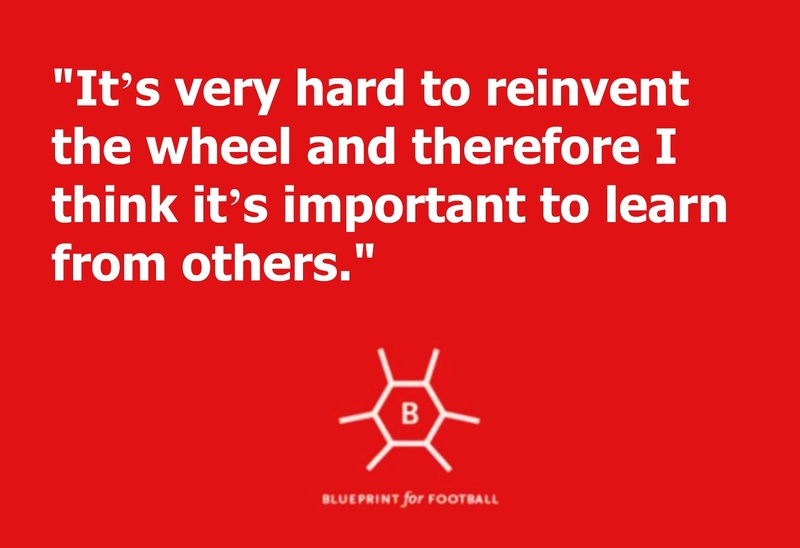 It’s very hard to reinvent the wheel and therefore I think it’s important to learn from others, get to the point that generations of coaches have got us to and build from there. Sharing best practices is key to this and I don’t think it’s necessarily something that everyone is comfortable doing. I write and share to help myself get better, it helps clarify my thoughts on a topic. And in turn, I’m sure people will challenge me on those views and I’ll have to defend them. And in that process, I might find something that I hadn’t thought about that changes everything. But without that collaboration, I might never be challenged. I might just sit there in my comfort zone and do things the way I always have. And I think that’s the scariest part, opening yourself up to criticism by sharing your work or your thoughts on a topic. But in my opinion, that’s where you’ll learn the most – just outside of your comfort zone. BfF: How valuable a resource has the internet been for you? DA: The internet is a great resource and the modern coach has a number of advantages over those of days gone by. It’s limited though. I’ve found the greatest learning in terms of coaching and teaching is through watching other coaches in action and playing in their sessions. Getting a feel for the nuances of when to stop a session or different ways of addressing players is something you just can’t pick up from reading an article or watching a video of someone coaching. BfF: If you were to recommend one book for football coaches, what would it be? DA: Leaders Eat Last by Simon Sinek. There are some wonderful football books out there of which Dennis Bergkamp’s is wonderful (Stillness and Speed), but I always find myself transferring ideas from other sources and this is one of the best. I mentioned earlier about building the right environment and this really looks at leadership and organization’s in a structured way that can be ported straight across and applied to teams/players. Liked this interview? Then you'll love our Blueprint According To...series. 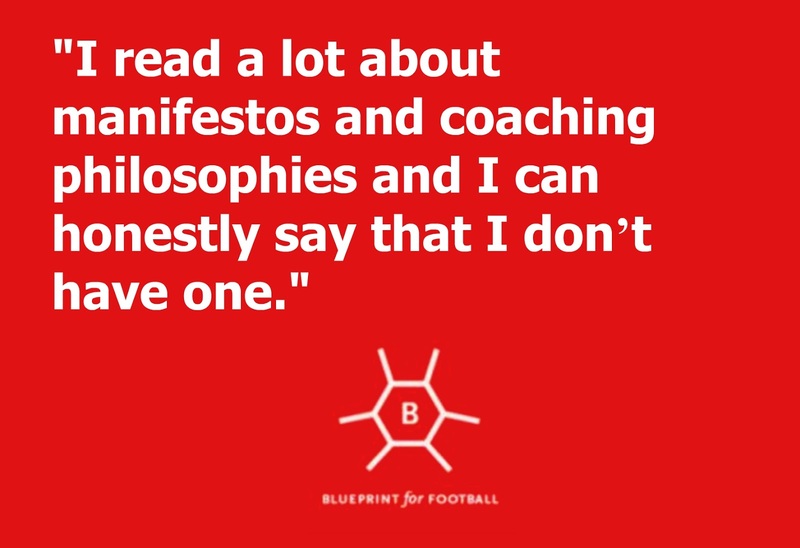 And you can get Volume 3 of that series completely for free if you join our weekly newsletter Blueprint for Football Extra (that is also completely for free!). Thanks to Dean Atkins for his time in carrying out this interview. You can follow Dean on Twitter.